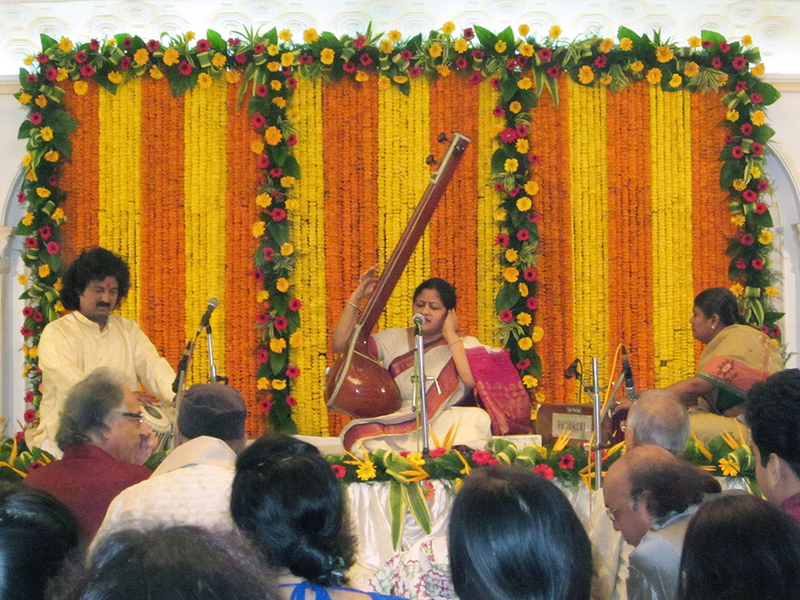 In continuation of our last post reporting the first evening of Purav Ang Gayaki Utsav 2012 – 2013, let us now proceed to the second evening of the festival, held on 28th October 2012 at Chowdhury House, Calcutta. The first participant of this evening was Smt Pallabi Ghatak, who started her presentation with a thumri on raaga Mishra Bhairavi (bansuria kaisi bajai ri) and next switched to a dadra on raaga Pilu (nath bisar balam). 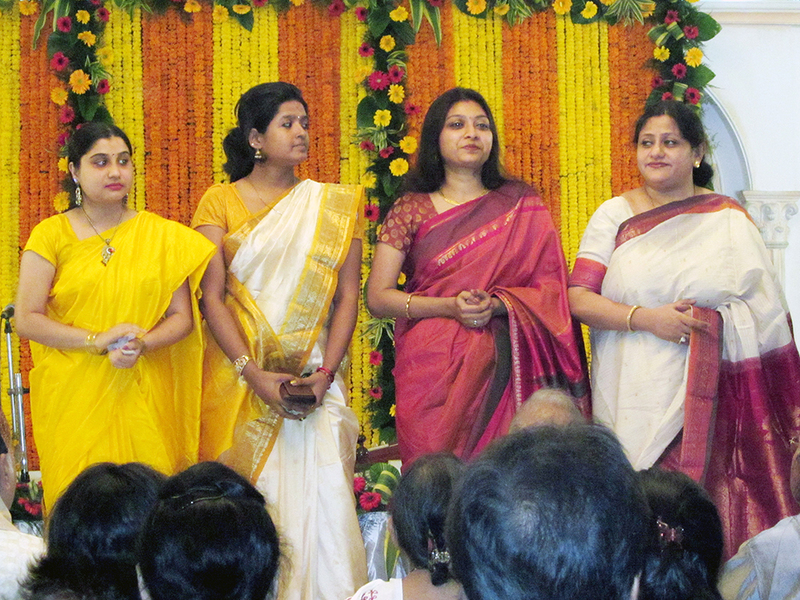 Smt Santa Kundu was the next participant and she opened with a thumri on raaga Desh (mora saiyyan bulawe). Her second presentation was a dadra on raaga Majh Khamaj (aisi bedarda se). The third participant was Smt Sohini Roy Chakraborty, who started with a thumri on raaga Mishra Khamaj (mori maano batiyaan) and then presented a dadra on raaga Kaushiddhwani (shyam tohe najaria). The last participant, Smt Nandini Chakrabarty, a deciple of Smt Poornima Chaudhuri, presented a thumri on raaga Majh Khamaj (ab ke sawan ghar aa jaa) and ended the evening’s program with a dadra on raaga Bhairavi (jao main tose nahin bolun). 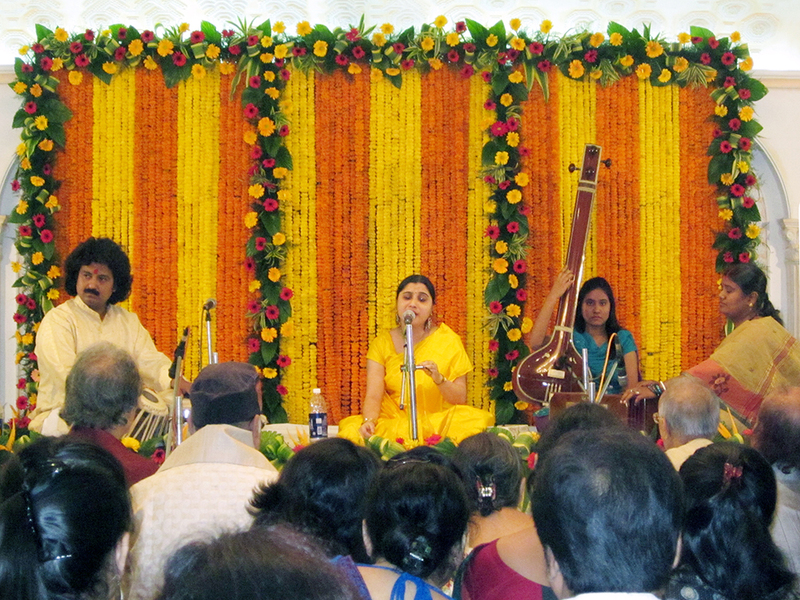 Throughout the two days covered by the festival, the accompanists Sri Jayshankar Mishra (tabla) and Smt Paromita Mukherjee (harmonium) worked tirelessly and brilliantly with all the eight participants. A word on the Mrs Paromita Mukherjee – she was so magnificent at her harmonium skills that some of the alankars sounded more like being played on a flute rather than a harmonium! A disciple of late violinist Sri V G Jog, she left Calcutta a while back and now lives in Delhi. While Bengal should mourn losing her, we should be equally proud of her as a great Bengali artiste. 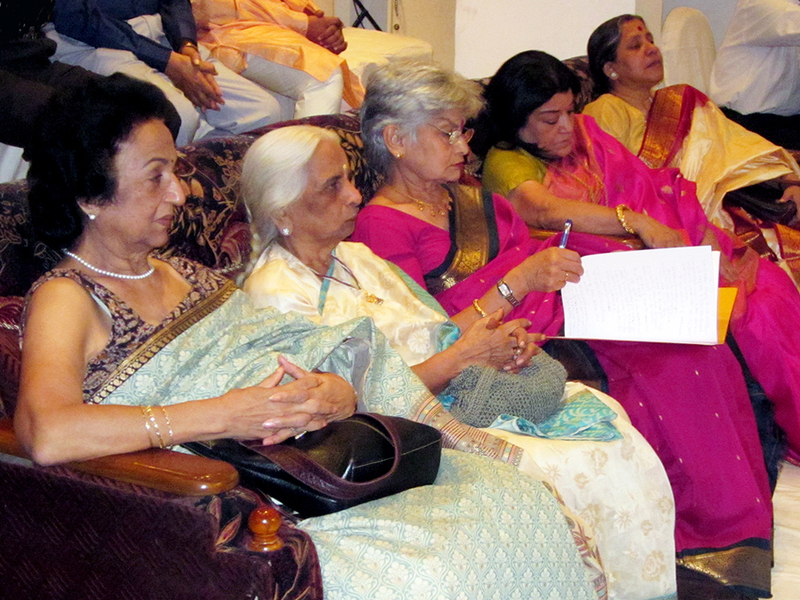 As in the past, the VSK Baithak 2012 – 2013 at the Chowdhury House was a delight for the audience. Superb aesthetics, great hospitality, attractive floral appointments and closeness to the artistes created a warm, cozy and homely atmosphere. To illustrate, here’s a photo of the auditorium. This photo is a bigger one than the rest and was created by joining three normal photos. Click on the photo if you want to see its bigger version. We wish luck to all the participants and congratulate Sri V S Kapur on his sincere efforts to revive this particular tradition of Indian classical music. Hope to see you all next year! The photo of the auditorium is not being displayed for some reason unknown. This may be because of a WordPress bug which can’t resolve different formats of posts (Standard, Gallery etc.). However, here is a separate link for the photo if you want to have a look. Last evening saw the rare phenomenon of famous “Purav Ang” thumri singer Chhannulal Mishra delivering a bouquet of kheyals, thumris, dadras and horis to a packed house in the “Holi Milan” program organized by Sangeet Ashram in G D Birla Sabhaghar. It was rare not only because the tradition of solo programs featuring a single thumri and dadra artiste are fading away, but also because this was one of the very few (if not the first) performance by Chhannulalji in Kolkata. 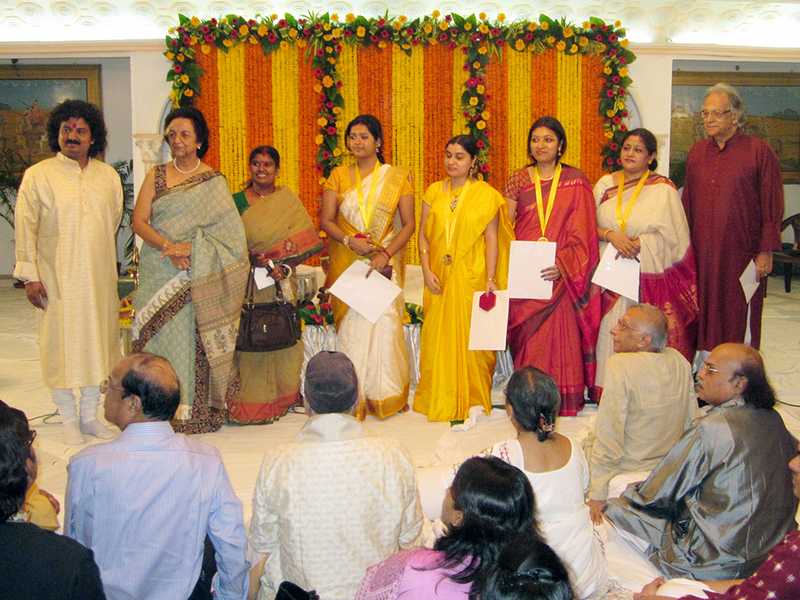 We all thank Sangeet Ashram for arranging this rare event. 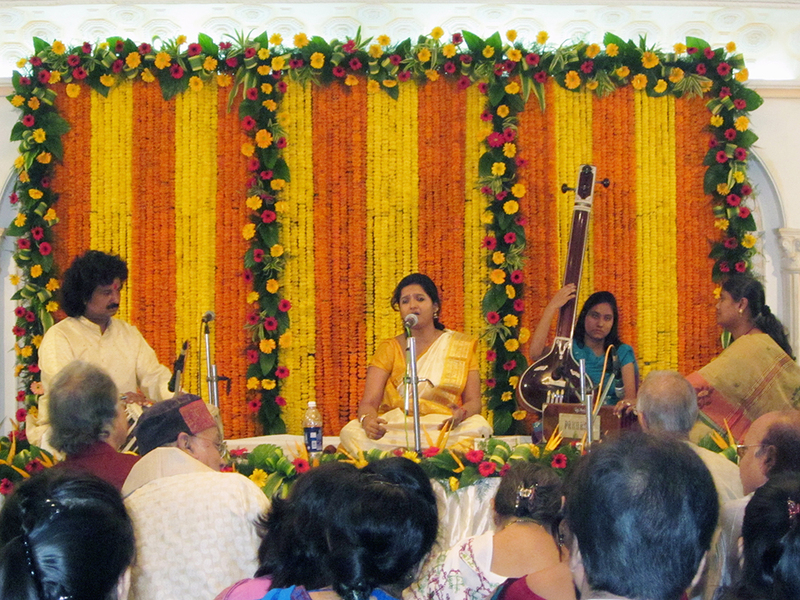 Channulalji started the evening with a bandish in raag Yaman set to jhaptaal. Next, he switched to the thumris he is so renowned for, which were based on raag Khamaj, raag Tilang and one on a mishra raag based on Kalyan thaat. He then took up a dadra and followed it up by a chaiti based on raag Khamaj. 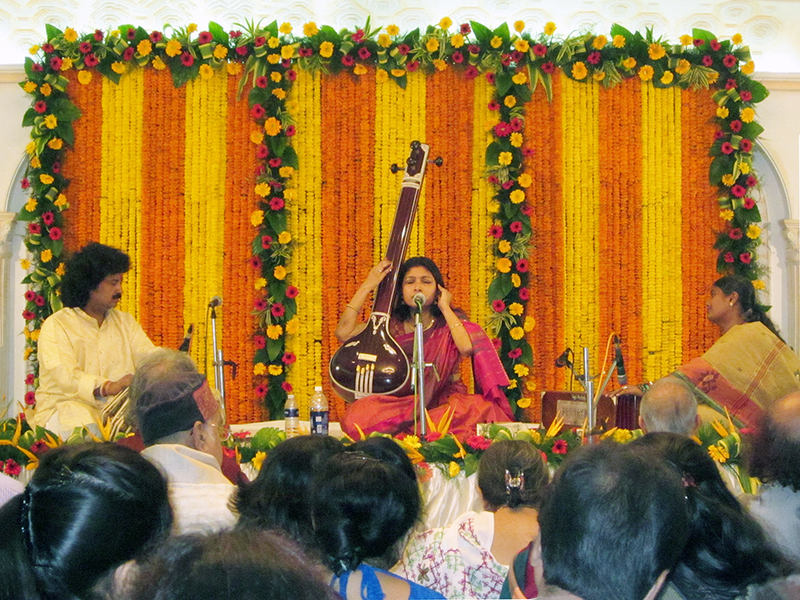 Next was the time for a series of horis based on raag Mishra Kaafi, raag Khamaj and raag Desh. 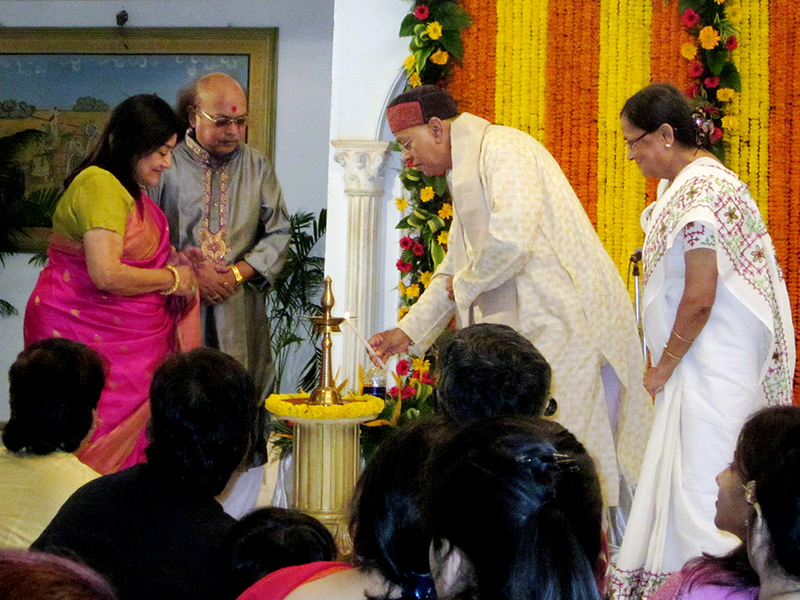 He concluded the memorable evening with a fine rendition of a Shiv ka Hori. He was ably accompanied on tabla by Samar Saha, on harmonium by Jyoti Goho and on taanpura by our own Shubhajyoti Mukherjee (Bambi). A detailed critique of the evening’s performance will be posted soon.